Among the many places Enel can be found online, Enel Sharing is the Enel communications vehicle that more than any other is evolving and becoming an increasingly important role in the Group’s online communications. Created as the business’ voice on social media, today it combines the activities of a corporate blog and news agency, offering a complete look at the Group and its activities. Each day Enelsharing publishes original content that deals with a few chosen themes, beginning with corporate news, which gives readers all the info on Enel management’s participation at conferences, congresses and public initiatives. It also deals with local news, as well as the deals that Enel Energia offers and all the information readers could need on events, exhibitions and projects sponsored by Enel in Italy and abroad. As with all corporate blogs, all content is published on the most important social media platforms, be it text or multimedia, and for next year there is already a series of activities planned for the corporate blog. through articles written by opinion leaders and bloggers and editorials written by the Enel management. 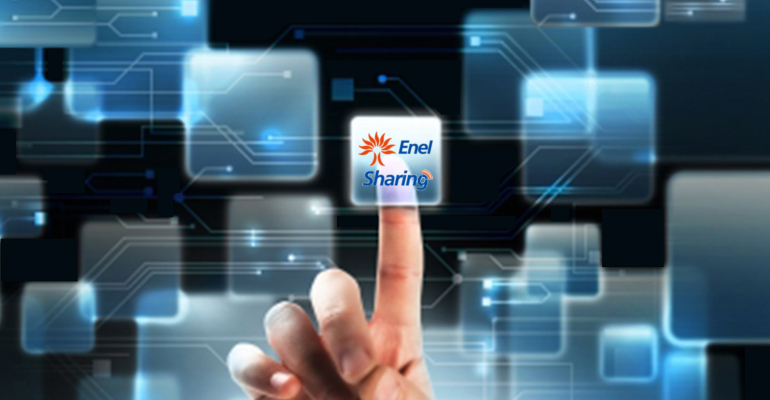 Enelsharing is moving towards a mix of communications being adopted by businesses around the world, who are already bringing social media and traditional communications together. This is a new world that sooner or later everyone will have to adapt to, and as is often the case, Enel is a front-runner.